We all smile. We all have different types of smiles for each situation. But what about when you are trying to read someones smile, are they enjoying the conversation? are they comfortable? well your about to find out. Smile. It can mean a lot of things – fear, shyness, politeness, reserved mindset or the masking of true emotions. It has a secretive attribute, in this cases hiding the teeth is equivalent to hiding thoughts. The self satisfied, arrogant and kinda of evil smile. Lips – Usually pressed together and only one side coming up. Can be done with a lips slightly separated. The upper lip may also rise a bit. Eyes – Can narrow a little to create some kind of suspicious look. Usually a sign of self satisfaction, arrogance and expression of superiority. It can also be a sign of doubt and an attempt to dismiss someone’s opinion. If the upper lip rises – it’s probably a sign of ridicule. Interestingly, it can be used in flirting as a sign of humor and playfulness – to try and catch attention and interest from the other side. This smile is quite similar to the smug, only with a slight adjustment and a different meaning. Half smile is one of the more confusing expressions we have-it’s asymmetric. It’s one of the main features of sarcasm – “an evil” or “smug” smile. You can also say it’s a sign of confidence, or feeling of superiority towards whoever the smile is intended for. Something to think about: I told you that the smile evolved as an appeasement gesture, a sign of submission rather than threat, so how does this smug mug fits in? In my opinion it simply doesn’t – we call that expression a smile, but beside their similar features they have little in common in the meaning or context. It’s a conscious disconnect between what is show outside and felt inside. This is a REAL smile. It shows the person is actually happy and having a good time. The corners of the mouth rise and the outer corner of the eyes crinkle. It is the most comforting smile and the most easiest to read and produce. It makes other people feel good. Using the buccinators muscles along the sides of the face draw lip corners sideways as well as up. Now what does your smile say about you? You’re menacing, fierce, and maybe not so happy after all. Its artifice is visible a mile away. 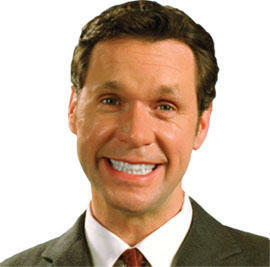 Besides the fact that it doesn’t engage the eye muscles like a genuine grin, the forced smile overworks the mouth. Preferred by bickering couples out on double dates, it’s one of the types of smiles that announces trouble is coming. 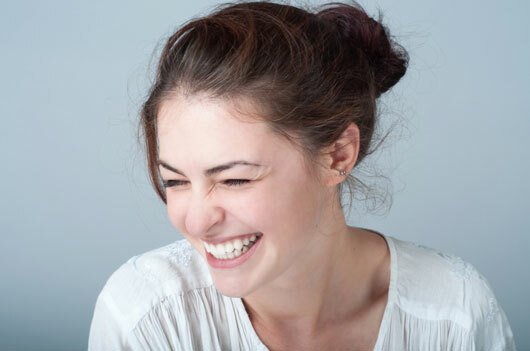 Smiling by stretching the corners of the mouth while pursing the lips produces a sarcastic smile, one that conveys the opposite of how it appears. This smile with half the face turning down and away and the other delicately revealed makes you seem younger and secretive in a captivating way. For this reason, it one of the types of smiles favored by film and television performers, little kids, and often the ladies.